This is how the working day for women starts in Nepal, down at the local salon to shampoo and rinse before washing the laundry. 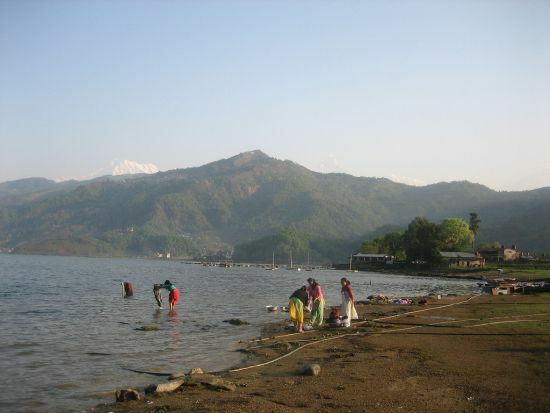 Not recommended though if you like your hair scented with something other than what flows into Phewa Lake from Pokhara. White-headed Dhaulagiri Himal peeks over the hill as if to say his snow-crested crop is a good deal cleaner than the hair of the ladies below.